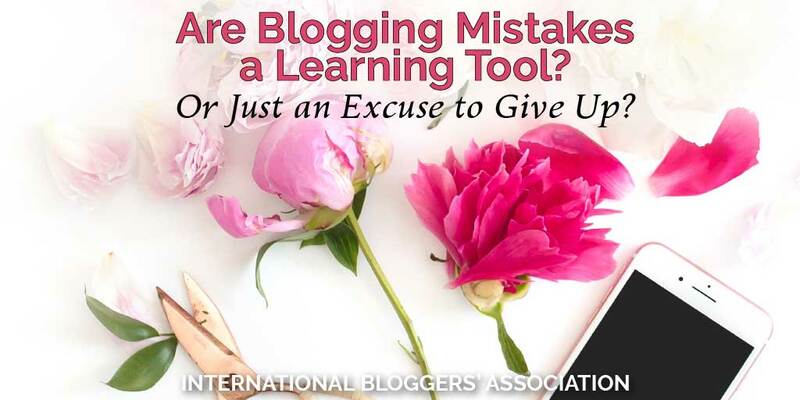 Are Your Blogging Mistakes a Learning Tool? Or an Excuse to Give Up? You are here: Home / Blogging Tips / Are Blogging Mistakes a Learning Tool? Or Just an Excuse to Give Up? How do you view your blogging mistakes? Are they a simple excuse to give up? Or your best learning tool? Learn from today’s IBA blogger how a change of perspective gave her the courage not to give up, but instead to use her lack of experience as a way to become a better blogger. My blogging career ensued out of the blue, literally out of nowhere. I didn’t know the first thing about blogging or even what a hashtag was! But nevertheless, I sat down, and I began my blogging journey all on my own. The first thing I realized was I could learn a lot from fellow bloggers and mentors. In the beginning, I had many questions, so I began as advised by joining a few Facebook groups that were dedicated to blogging. I slowly started to interact with other people to see what they were doing and how they were doing it. To my surprise, everyone was so knowledgeable. They became my support system! Having a great support system is just as important as making those mistakes. 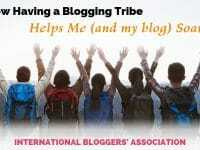 You can find out why IBA is my favorite support system for bloggers here! My Blogging Mistakes Were Many! But, I was totally lost! I felt useless, inexperienced, and unknowledgeable but I still persisted. Casually, I started to ask questions and getting comfortable in the groups. But, each time I tried to accomplish something I made the “M” word (Mistakes) repetitively…. not once, not twice, more than three times and even more than four times. My mistakes just kept coming! At one point I thought that my mistakes were one too many and I just should give up. At one of the forums (I really can’t remember the name of the forum), I was telling them that I bug them too much… and began apologizing for asking too many questions. Then I thought maybe I just should stop and give up this whole idea of blogging. What advice did I get? Then one lady wrote ‘No! Don’t give up… because if you don’t make mistakes how will you ever learn? You have come this far by asking questions, applying and growing.’ I must’ve looked at it for about five minutes. Could I really be making progress? I took out my little notebook where I had always jotted my questions and answers I received. Once I put all my questions and answers together, and I finally realized I have utilized all the answers that were given to me on the forums! After plenty of thinking, I have come now to believe that mistakes are a part of learning. Actually, they are essential to growing as a blogger. I have yet to met a blogger that has said they knew everything and made no mistakes. It’s like the first time we get our driver’s license. In the first six months, how many wrong turns did you make? How often did you park in the wrong spaces? You didn’t stop driving! No, you learned the right turns and the correct spots to park your car. Blogging is just the same way, your mistakes in blogging (and they will be plenty) are a learning tool. 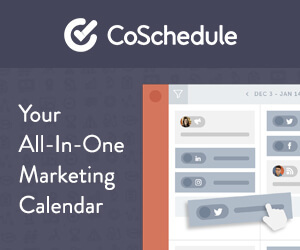 A tool that will guide and format your blogging career, and teach you so many valuable things! 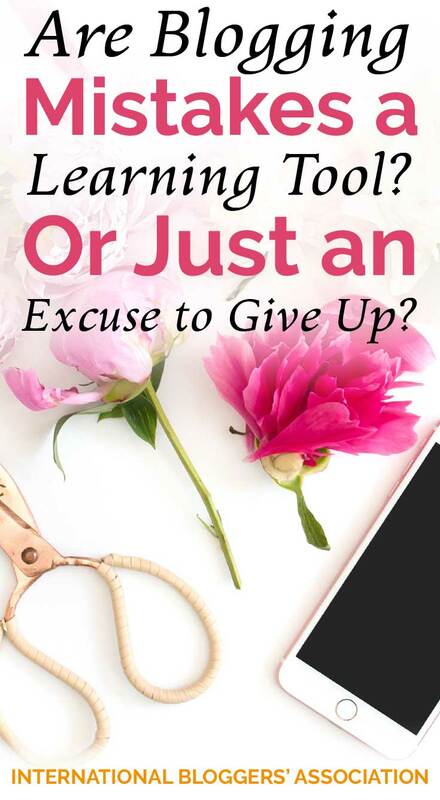 Have you almost gave up because of your blogging mistakes? What helped you to keep on blogging? What was one of the most challenging mistakes you had to overcome? Love this post? Then be sure and pin it! Live Skype Lessons Cook with me! Cooking can be frustrating and overwhelming, I get it we’ve all been there BUT no worries that’s what I’m here for. Welcome to Momzcuizine. I’m Maggie – your Live Skype Cooking Assistant. I have come to realize that my many years of experience and knowledge in the culinary world is an invaluable resource that many people need.I will walk you through any recipe you need to prepare. My lessons are not timed I will be there until you have fully understood and you have asked every question you need to be answered. I provide you with one- on- one cooking, live skype lessons from the comfort of your own home. Come Cook With Me! Get your FREE consultation today!